SecureSafe is a cloud storage solution based in Switzerland and it aims to offer the same high level of security and privacy that you would expect from a Swiss bank. In order to protect your information, SecureSafe provides double encryption, zero-knowledge system and triple data redundancy to ensure that your data is available whenever you need it. If you are looking for an online storage service that focuses on keeping your data highly secure, this would be a great choice. The flash-based interface is not only easy to use, but it also offers great performance. 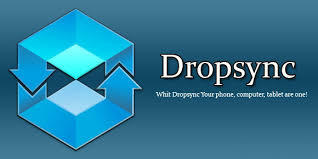 You can simply drag and drop your data to move it and all the necessary features are available in the web client. The Mail-In feature ensures that any email received to your SafeSecure email address is scanned for attachments or images. If there are images or attachments included, they can be downloaded to the File Safe, otherwise, a PDF version of the text in the email will be created. The desktop software is compatible with Mac and Windows and you can access the main features such as Team Spaces, File Safes, Password Safes and data received via Mail-In. File Safe is where you keep your data and it is possible to set any cloud storage Safe to sync to any folder available to your computer, including network shares such as NAS devices. New File Safes, Team Spaces or Mail-in boxes can be set up using any network or local folder. There are different settings that can be adjusted, including the frequency of the sync updates. You can sync as often as every 5 minutes or every 8 hours, if preferred. It is also possible to choose the option to auto-lock Password Safe in different frequencies, or you can make sure that it never locks automatically. It should be noted that Team Safe is a paid feature that allows you to invite people to join separate work spaces and different permissions and tasks can be assigned. SecureSafe also offers mobile apps for Android and iOS. They support standard functionality such as download, upload and access to data from Mail-Ins box, File Safe or Team Space. The mobile apps also allow you to set up auto-timeout and there is an “Offline Mode” and while it doesn’t allow you to access files from File Safe, it can be used to manage passwords. When it comes to sharing capabilities, SecureSafe allows you to share links to specific files or to a group of files via email. The recipients don’t need to have a SecureSafe account in order to access the link. The downside is that it is not possible to share folders. There is a option that offers up to 100 MB of personal storage space and although it has limited configuration options, it is possible to share links and to send and receive files via Mail-In. The Silver and Gold plans offers unlimited capacity to send multiple files simultaneously, while the Free and Pro plans are limited to 3 and 5 respectively. The Data Inheritance feature will help you to preserve your data for posterity. If something happens to you, Data Inheritance gives your family or business colleagues the chance to get access to crucial information like passwords and PINs. It is possible to choose up to 20 beneficiaries for your data, depending on the plan you select. Only one Authorized Activator can begin the data inheritance process with an activation key that you give them. After the key has been used, your beneficiaries will receive activation keys via email or registered post. In any case, you will receive notifications when the process is started and you can stop it if it was initiated fraudulently. You can manage and protect your passwords using a feature called Password Safe. The free version of SecureSafe allows you to store up to 50 passwords and the tool is designed to help you to keep your passwords secure. Your passwords, in the same way as your data, are protected with end-to-end encryption and once you copy the password into your clipboard, the information is secured and RSA key authentication is applied. This password manager seems fairly basic in terms of interface and it looks like a spreadsheet, but it is a safe option to keep your passwords available, specially if they are not easy to remember. SecureSafe uses end-to-end military grade 256-bit AES encryption during transfer and on the server side. The data stored on mobile devices is also protection with 256-bit AES keys, locally stored on the device. To validate login sessions, 2048-bit RSA tokens are used and they are protected by EV SSL certificate. Paid customers can also opt for two-factor authentication through the mobile apps. SecureSafe is based in Switzerland, where the privacy of data is protected by strict laws. In addition, the company has a zero-knowledge system supported by the RFC 2945 Sec-ire Remote Password protocol. Shared RSA keys are implemented using randomly generated numbers by the server and client. You get a high level of protection that guarantees that only you can access your files. All the servers are based in Switzerland and while this is good in terms of security and privacy, it can result in slow performance for users outside Europe. The speeds may be affected by how far you are located but in general, SecureSafe offers decent (although not the fastest) performance. Personal users can choose between four different plans. The free option offers up to 10 MB of storage space and allows you to keep up to 50 passwords safe. The Pro option costs $1.50 USD per month when you opt for an annual plan and it gives you 1GB of storage and the possibility of storing as many passwords as needed. In order to get more storage space (up to 20GB), unlimited Password Safe and more features, you can choose the Silver plan, which costs $4 per month. The most advanced option is the Gold plan, which offers up to 100 GB of storage space, which can be upgraded. It also offers unlimited Password Safe and a wider flexibility to share files. SecureSafe also offers Business plans for a single project group or for several work spaces for companies. SecureSafe is a good option if your main concern is to keep your data secure and private. Its zero-knowledge technology, strong encryption and Password Safe feature, are aspects that show the company’s commitment to give you peace of mind. Although the functionality is limited in terms of collaboration, data sharing, management of media content and document editing, it is an affordable solution that can be used for files that require a higher level of protection. I have the free version of SecureSafe Password Manager and I only use it for password storage. Somehow it is stuck in offline mode and I can’t turn that off. I can’t edit anything. I have tried everything I can think of. Do you have any idea how to turn this “feature” off? I have used this for about 5 years and never had a problem before. The inheritance feature would be cool if it actually worked. I inadvertently turned on inheritance which locked my account , my beneficiaries can not login because they don’t get the requisite text. Good idea, very very bad execution. I would not use this service.